Exam Board: SQA Level: Higher Subject: History First Teaching: September 2014 First Exam: June 2015 The New Higher History series offers a full-colour, topic-based approach to the revised Higher History syllabus. Covering all of the main issues within each topic area, this series includes investigative techniques, use of evidence and a variety of activities to enable students to develop the necessary skills to tackle both essay-based and source-based questions successfully. 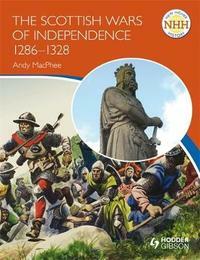 This book investigates the political changes and military campaigns arising from the Wars of Independence, looking at: the situation in Scotland in 1286; the succession problem and choice of John Balliol as King of Scotland; the difficulties during the reign of John Balliol, including the overlordship of Edward and Scottish rebellion over the Anglo-French war; Scotland's subjugation and resistance, including the influence of Andrew Murray and William Wallace; the ambitions and rise of Robert Bruce, his military victory at Bannockburn and the declarations and treaties; the aftermath and legacy of the Wars of Independence and their significance for Scottish identity. Andy MacPhee is a PT of Humanities at a Scottish secondary school and an experienced examiner.